Mumbai: A court here onWednesday remanded L H Hiranandani Hospital CEO and four doctors, arrested in connection with an alleged kidney transplant racket, in police custody till 14 August. Hospital CEO Sujit Chatterjee, medical director Anurag Naik, Mukesh Shetye, Mukesh Shaha and Prakash Shetye were arrested on Tuesday under the Transplantation of Human Organs Act on the basis of a report by the Director of State Health Services Department, which named them during the inquriy. Police told the court of Local Metropolitan Magistrate, Ashwini Lokhande in Andheri that the arrested doctors were also attached with other hospitals in the city and that they wanted to probe if the racket was being run in other hospitals as well. Police also wanted to find out if there was any exchange of money among the doctors, agents and donors in the alleged racket. Police are also studying the Call Detail Record (CDR) of the doctors and the racketeers arrested earlier. "After studying the (Director of State Health Services) report we arrested them. They (the doctors) are accused of negligence for not verifying the documents and not following the protocol involved in kidney transplantation," police spokesperson DCP Ashok Dudhe said. However, the defence lawyers told the court that it was not the doctors' job to scrutinise the documents. They also argued that there was a separate Ethics Committee which screens the documents before allowing transplants. 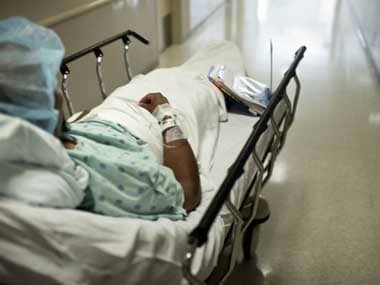 The racket was exposed after the police were tipped off that a kidney transplant operation had been scheduled on 14 July at the privately-run Hiranandani Hospital in Powai where donor and recipient were not related. Following the bust-up, nine persons, including the donor, receiver and agents were arrested. The operation on Brijkishor Jaiswal, the recipient, was stopped at the last moment as police found that the woman who was donating the kidney to him was not his real wife, contrary to the papers submitted by the duo. The woman had pretended to be Jaiswal's wife only to be able to donate him the kidney for monetary gains, according to the police. Police is now also probing whether anybody else received kidney using similar subterfuge and if the hospital authorities were involved.